The kitchen is the beating heart of the home; a space in which the whole family comes together to eat, socialise, entertain or do homework. But when it comes to its original purpose – a room in which to cook and prepare food – it’s too often viewed as an adults-only zone that’s fraught with dangers such as hot pans, sharp knives and boiling water. On the contrary, integrating your kids into kitchen activities can accomplish a number of short-term goals and lead to long-term benefits. First and foremost, you can spend quality time with them while they learn lifelong culinary skills, and you’ll eventually be rewarded with a valuable little sous chef who can lend you a helping hand when the pressure is on. Further, developing an appreciation for nutrition and a healthy relationship with food begins in the kitchen, which is why it’s so important to get your children involved in the joys of cooking from an early age. Self-esteem, creativity, independent thinking and a sense of discovery are all heightened in the kitchen, and the skills they build there will improve their wellbeing long into the future. Creating a fun, functional and child-inclusive kitchen requires some careful planning and designing, and the implementation of a few key strategies. 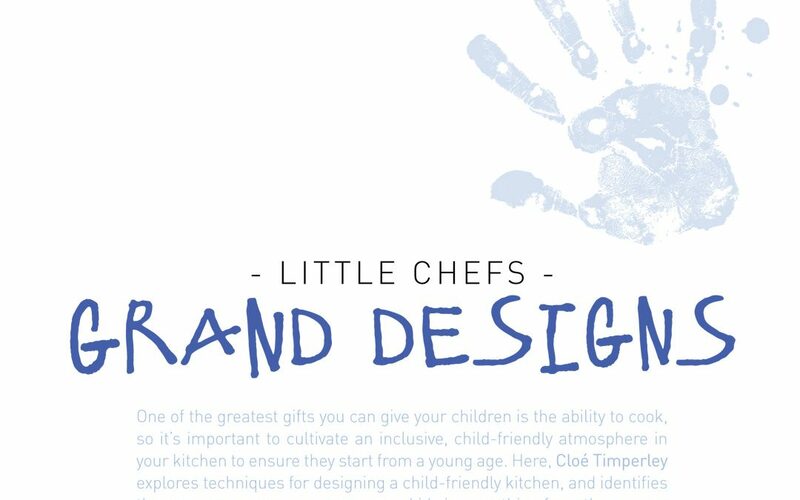 Here, Western Australia Kitchen + Bathroom Design explores the steps you can take to get your little ones excited about opening up the cookbook. The first step to getting your children enthusiastic about cooking is to give them their own workspace. A well-designed and -positioned island bench promotes connectedness and collaboration, which makes it the perfect anchor point where little chefs can gain some hands on experience. Your island bench should be wide enough to accommodate you and your helper standing side by side, with adequate floorage for a chair or step stool if required. You could even consider lowering the bench – or at least a section of it – to a height your child can easily reach. It’s also important to think carefully about the surface material of your island bench. 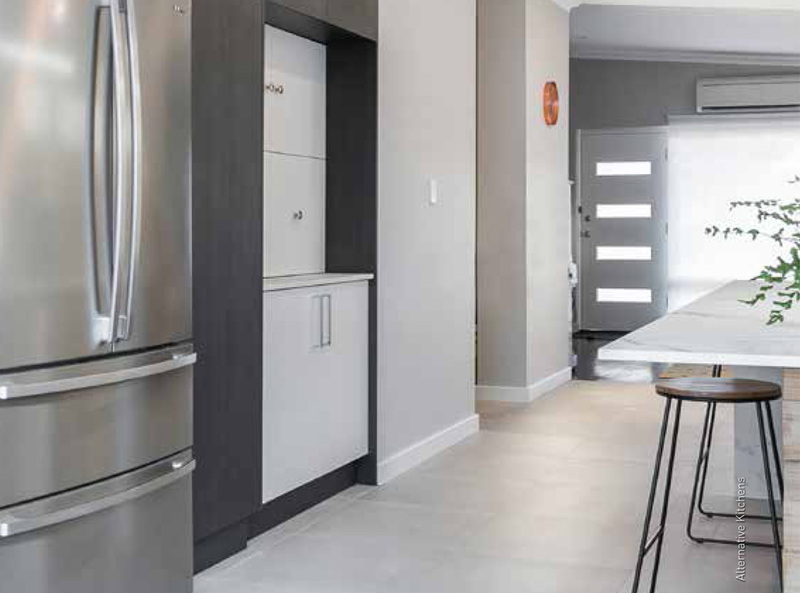 As your child learns the ropes in the kitchen, you’ll inevitably encounter some smashed utensilsand messy spills, so it’s wise to opt for a substrate that’s durable, easy to clean and stain resistant, such as granite, stainless steel or engineered quartz. If you’re in the market for something a little more affordable than brand new countertops, consider crowning your island bench with a heavy-duty butcher’s block. If you embrace the unavoidable scratches as part of its charm, a butcher’s block is an inexpensive option that provides your child with a designated workspace to call their own. When it comes to kids in the kitchen, accessible cabinetry is critical. Instead of running yourself ragged fetching utensils or ingredients for your children, encourage them to take initiative by storing the most frequently used supplies in areas they can easily access, such as floor-level cabinets, pull-out drawers, wire baskets and opentop bins. Try to store items in the same place every time, as this will help your little ones to memorise their location. To avoid jammed fingers and nasty injuries, consider soft-close or handlefree doors and mdrawers. Bevel-edge handles – also known as shark-nose handles – are particularly popular among families with young children, as they’re completely recessed. Kids love to have their own versions of adult appliances, so an under-counter refrigerator drawer that’s just for them is a smart addition to your child-friendly kitchen. A self-serve drawer that’s filled with healthy after-school snacks is perfect for young kids who are just beginning to learn how to help themselves to food. Alternatively, storing your child’s healthy treats in a separate fridge will free up valuable real estate in the main fridge! While accessible cabinetry is great for snacks and cutlery, inaccessible storage is just as important when you have small children in the kitchen. Remember to keep fragile or potentially dangerous items in high cupboards that cannot be reached by kids even if they stand on a chair or footstool. solutions with white vinegar, lemon juice and bicarbonate of soda, and bottle your concoctions in brightly coloured spray bottles as an exciting finishing touch. on the kitchen bench, along with pens and pencils to use for any scribbles or annotations. If your child tends to absorb information more easily from instructional YouTube videos rather than traditional books, you might like to set up a mounted iPad on the bench, as well. A tray that’s laden with fun grab-and-go activities can be a lifesaver when you need to keep younger kids occupied in the kitchen. Cookie cutters and Play-Doh will give them a feel for the joys of baking, while a food-themed colouring book will help familiarise them with the various ingredients they will inevitably come to use. 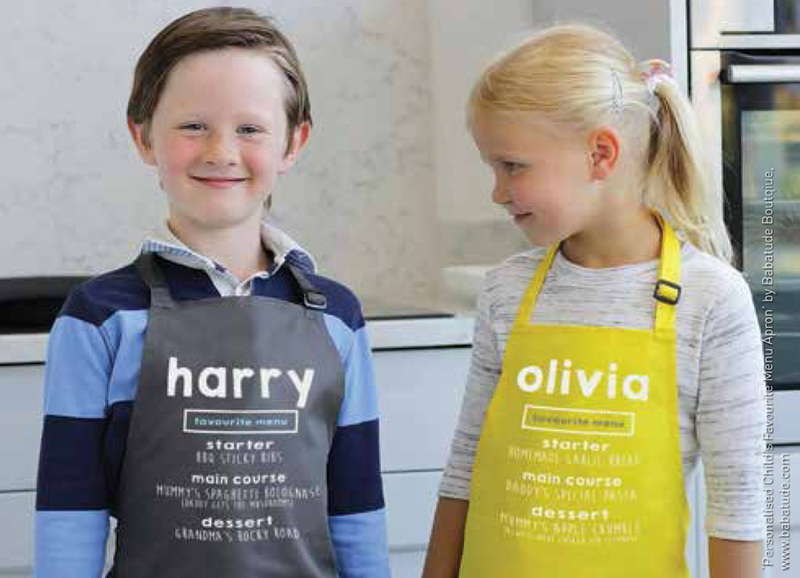 Creative activities such as these will encourage your children to associate the kitchen with imagination and exploration, which will serve them well down the track when they begin experimenting with new recipes, flavours and foods. Food may nourish the body, but time spent in the kitchen creating and connecting with loved ones nourishes the soul. 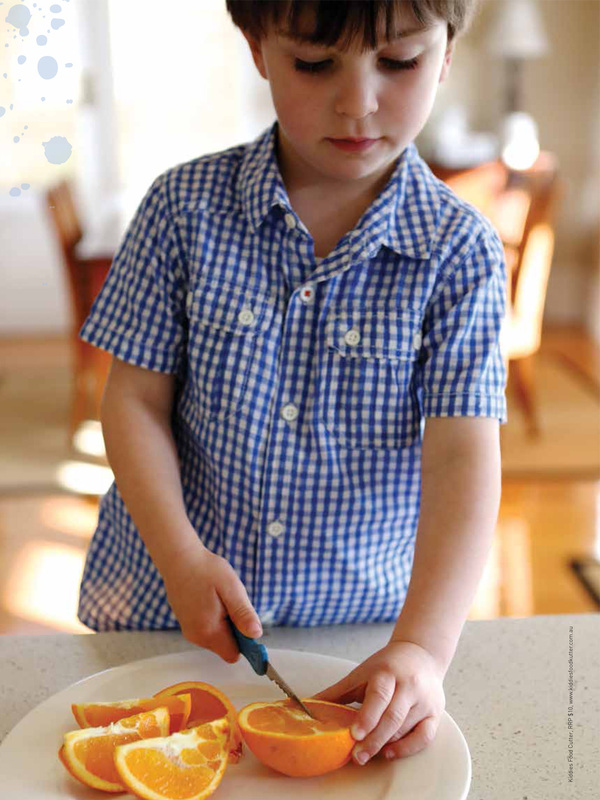 From planning and decision making to emotional bonding and nutritional knowledge, ensuring your kids get involved in the kitchen and in what they eat comes with a plethora of benefits that will assist their cognitive, emotional and physical development. 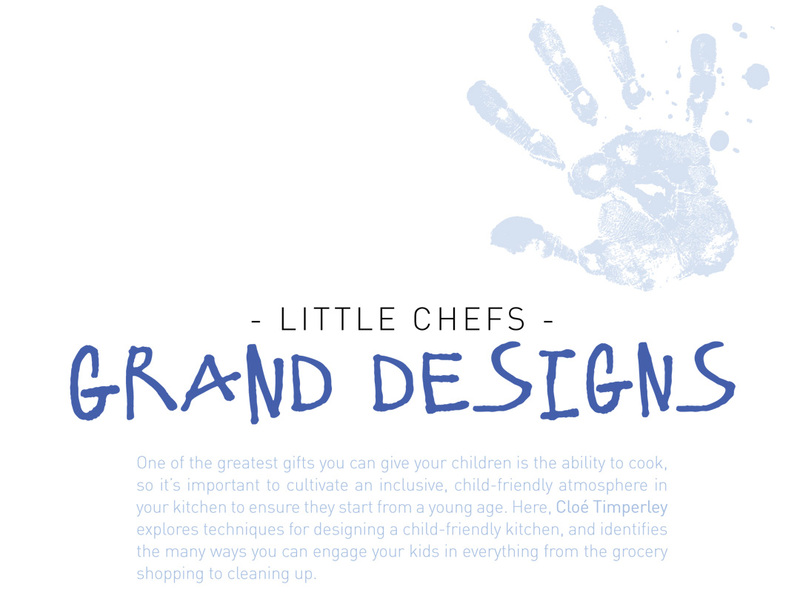 Whether your kitchen is large or small, there is a wide range of steps you can take to encourage your kids to embrace the space and get cracking on those culinary skills. Whether you opt for a complete redesign or simply decide to include a few kid-friendly features, your new child-inclusive kitchen will be the perfect space in which you and your little one/s can while away the hours making wonderful memories – and meals!